Many of the computer users thinks so that it is time to buy a new computer as soon as there computer starts performing poorly. If your desktop and laptop often hang up for several minutes or it slows down and takes a long time to boot. Even if you pay extreme attention while loading files and applications and never download questionable material over time if then to your computer is hanging up then the reason behind this error can be unwanted registry entries, cluster, errors and debris. So as a result it is most important to clean up your computer and get it run faster again. Update your Antivirus software and scan your hard drive- Antivirus software program helps to protect your computer from viruses and other suspect files that get spread by simple opening emails. It performs a regular check to identify the foreign files that try to infiltrate the computer. 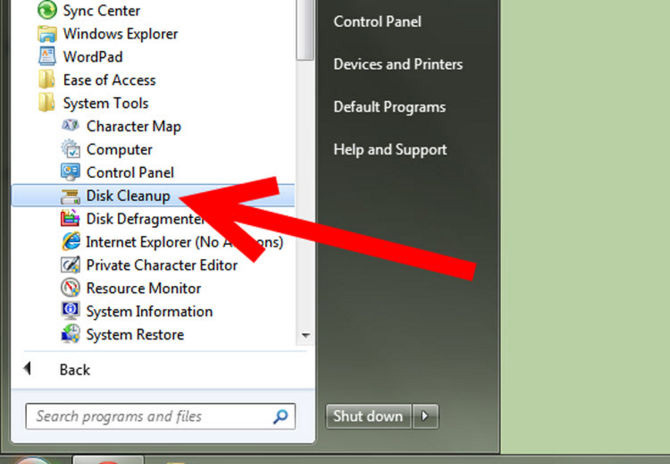 Clean up space on hard drive- Delete all the unnecessary files that are stored on the computer for free up memory and improve the overall performance of the computer. For this Go to the Start menu, here click on All Programs and then on the Accessories then on System Tools and then click on Disk Cleanup If you have several drives available then you can mention the drive that you to clean up. 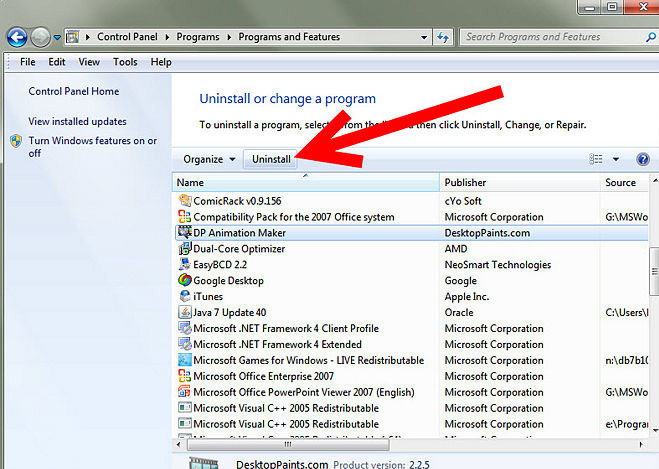 Uninstall the useless programs and which are not in use rarely used- These programs including games or media files that you don’t use anymore. For this Go to the Start menu and to the settings and then to Control panel and here click on Add and Remove program and uninstall the program that you don’t need longer now. Download and install anti-spyware program- Spyware are kind of malicious software that gets installed on the computer and tracks users information without their knowledge. 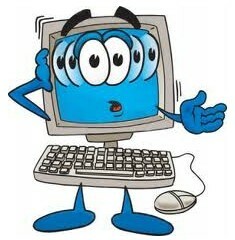 For both the privacy and health of the computer it is best to delete the spyware and other malware from computer. Defragment your Hard Drive- When computer files get disorganized hunting for your computer ability to lay data out sequentially is called Fragmentation and Defragmentation is correction of this process. To do so you need to go to My Computer then click on Properties and then click on tools tab. From here click on the Defragment button and run the program. After you set up this your computer automatically defragments itself at the set intervals. Check your RAM- RAM is computers memory chips for storing information. If you don’t have enough RAM then computer will use your hard disk for storing its intermediate results which is a much slower process. This makes the computer busy and slow to write and read things from the hard disk. To see how much RAM is on your PC so to the My Computer icon. Here select the properties and read the “General Tab” if it is less than 256 MB and less than 1GB in XP and Windows respectively then it might be a big problem. If RAM is the main problem that makes your computer to work slow then you need add some additional RAM to your computer. 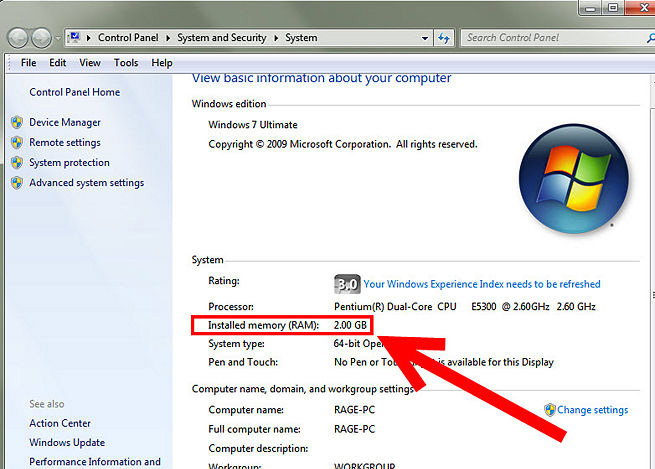 Go to the Task Manager and view all the running programs that are consuming most memory space or a spyware. Disable all the process that are causing High VPU High CPU Usage and is slowing the computer. Monitor all the process and see for windows resources. Clear up all the RAM space for booting the PCs speed. Diagnose and Fix the startup problems. Disable all the unnecessary Windows services. Monitor the CPU performance and program with High CPU usage. Never install the software that you don’t need to use them regularly. 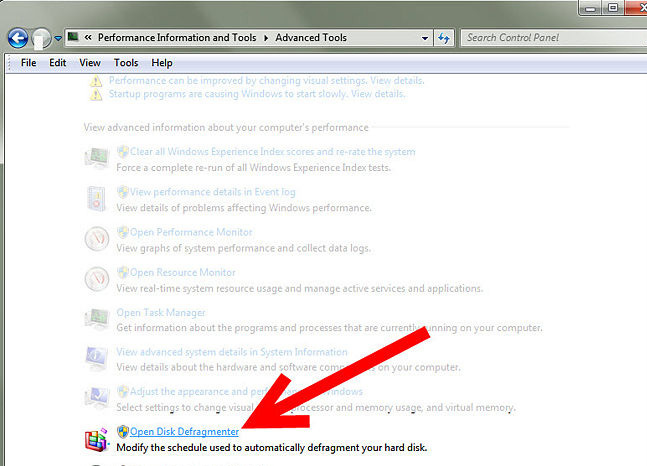 Defrag your computer monthly. 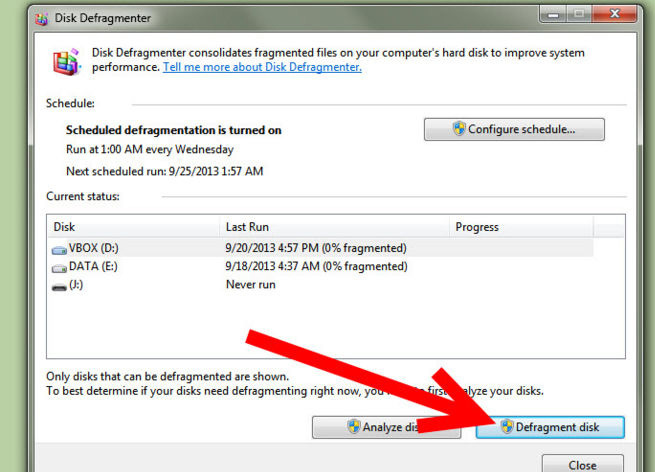 Defragmentation too often can reduce the life of your hard drives that all you write, erase and rewrite the “files”. Once the hard drive crashes there is no way out to retrieve the files from it. Perform spyware scan and virus scan weekly and if you download software regularly then you need to perform this task daily. To ensure safe browsing install the firewall program or buy external firewall router.